Andrew J. Naideck is a seasoned attorney with over twenty-five years of experience in the areas of commercial transactions, real estate, bankruptcy, commercial and residential tenancy matters, probate, and estate administration. Mr. Naideck has represented clients in the purchase and sale of commercial and mixed-use properties, apartment complexes, as well as single and multi-family homes. 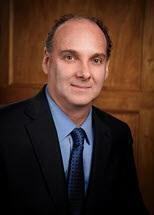 Andrew also represents clients in defense of administrative compliance matters. Andrew has represented banks, title companies, private lenders, and borrowers in loan transactions, refinances, due diligence reviews, and closings. Mr. Naideck has resolved difficult real property matters including correction of title defects, clearance of liens, boundary disputes, creation of easements, decommissioning of underground storage tanks, and ensuring compliance with State escrow requirements and tax clearances. Mr. Naideck has handled the purchase and sale of businesses, asset sales, business workouts, negotiation of lease agreements, and corporate dissolutions. Andrew is experienced in general corporate matters including preparation of company formation documents, partnership and shareholder agreements, management agreements, employment contracts, and operating agreements. Andrew has negotiated shareholder disputes, and when necessary engaged in litigation to protect shareholder rights. Mr. Naideck has a reputation for careful preparation and aggressive advocacy in all aspects of legal representation to both individuals and businesses. Andrew also has extensive experience in municipal court matters including traffic violations, license restoration, and defense of code enforcement matters.